Here are all the major records and numbers that Gautam Gambhir created during his long career. 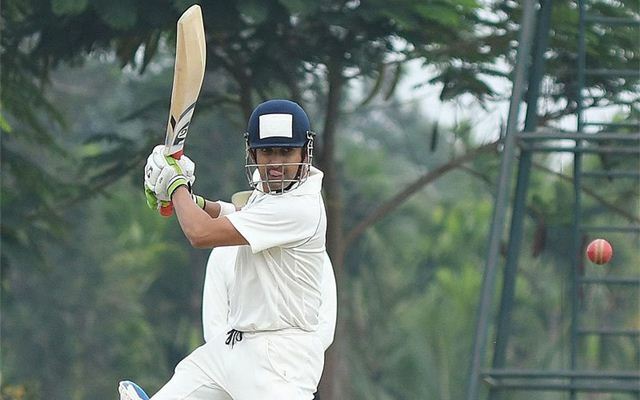 Gautam Gambhir, on Tuesday, announced that the upcoming Ranji Trophy game against Andhra at his home ground Feroz Shah Kotla in Delhi will be his last professional game. The 37-year-old had made his senior debut back in 2000 for his state side at the Kotal. The left-handed batsman was an active member of the Indian team for nearly a decade where he achieved the No.1 batsman ranking in Tests and T20I format and played a crucial role in the finals of 2007 World T20 and 2011 World Cup. 2 – Gambhir is one of the two players to score fifties in both World Cup and World T20 finals (2007 WT20 and 2011 CWC). Kumar Sangakkara scored a fifty each in the 2007 CWC, 2009 WT20 and 2012 WT20 finals. However, Gambhir is the only player to have a fifty in a final that his team won in both the tournaments. 5 – He scored centuries in five consecutive Test matches between 2009 and 2010. He is the only Indian player and one of the four players in Test history to score hundreds in five consecutive matches. 6 – Gambhir won in all the six matches as the Indian captain– six ODIs. These are the most number of International matches for any captain with 100 % win record. Lord Hawke and Ali Bacher won all the four matches they led their respective countries in. 11 – Between 2008 and 2010, Gambhir scored at least one fifty-plus score in 11 consecutive Test matches. This is the joint longest streak for any Indian as Virender Sehwag replicated his opening partner between 2009 and 2010. Only AB de Villiers (12) and Joe Root (12) have a longer fifty-plus scores streak in Test cricket. 103 – Gambhir played first-class cricket on 103 different venues which is bettered only by Sachin Tendulkar (112), Rahul Dravid (112) and Gundappa Viswanath (104) among Indians. 107 – Gambhir led Kolkata Knight Riders in 107 consecutive Twenty20 matches starting from the CLT20 2011 to the end of 2017 IPL. No other player has led his team in more than 80 consecutive T20 matches. MS Dhoni has an active streak of leading Chennai Super Kings in 77 matches which is the second best. 212 – Gautam Gambhir’s 212 in the 2001 Youth Test against England in Chennai is the highest individual second-innings score in Youth Test cricket. He scored 212 off 241 with 25 fours and two sixes during the following-on innings. 391 – He added 391 for the opening wicket with Vinayak Mane in the follow-on innings against England in the 2001 Youth Test in Chennai. This is the highest partnership for any wicket in the history of Youth Test cricket. 22372 – Gambhir’s runs tally in professional cricket on Indian soil are the second most by any player (FC + List A + T20). He is only behind Sachin Tendulkar’s 24452 runs across all formats out of which he scored 14192 runs in Internationals.